Set within the beautiful Dundas Castle Estate and conveniently only 15 minute drive from Edinburgh Airport. 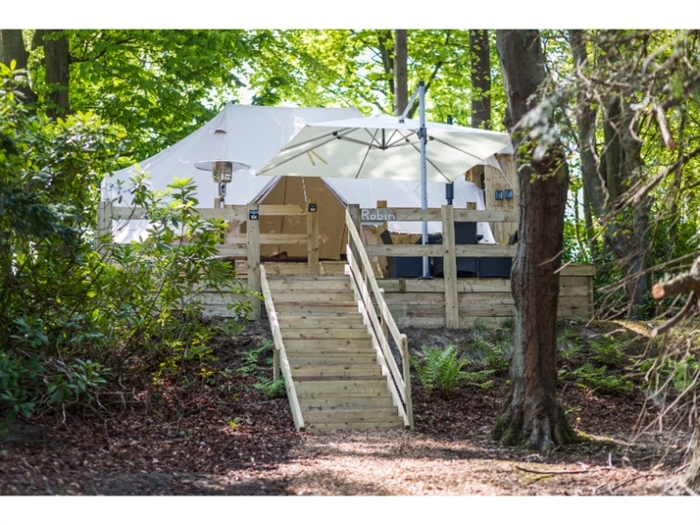 Glampotel Dundas Castle’s luxurious Canvas Cottages are carefully situated within a secluded wooded area overlooking the loch. 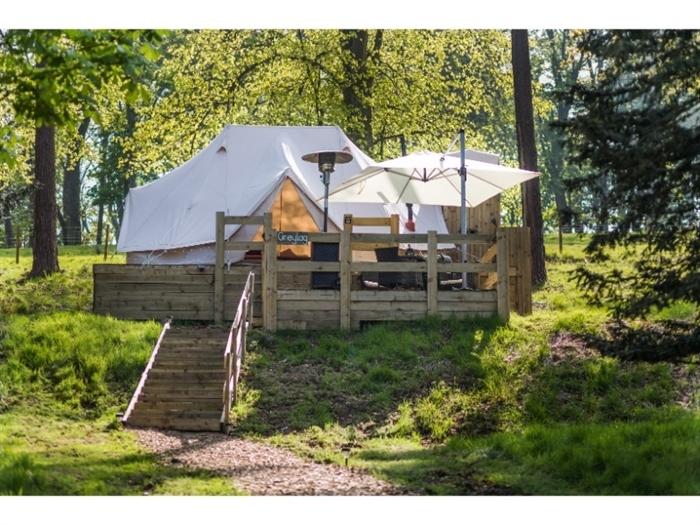 The combination of location and seclusion makes Glampotel Dundas Castle the most stunning and special, wildlife hideaway. 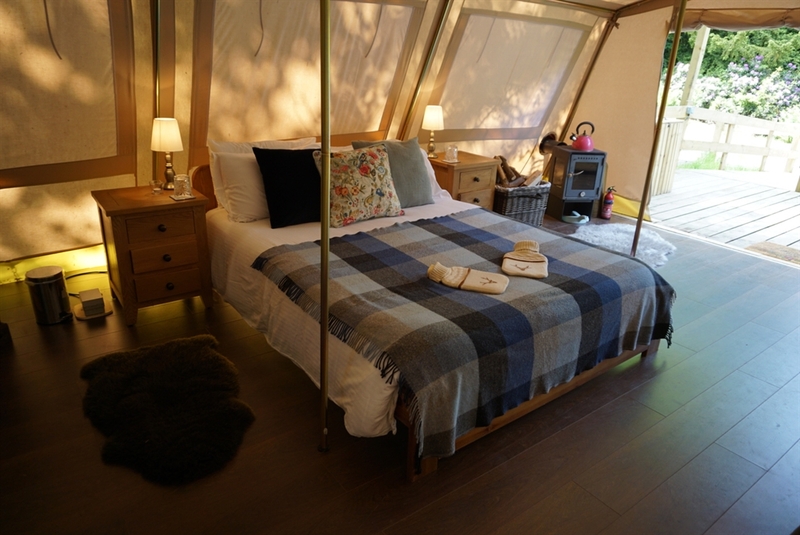 Glampotel Dundas Castle brings everything people love about camping without the downsides. 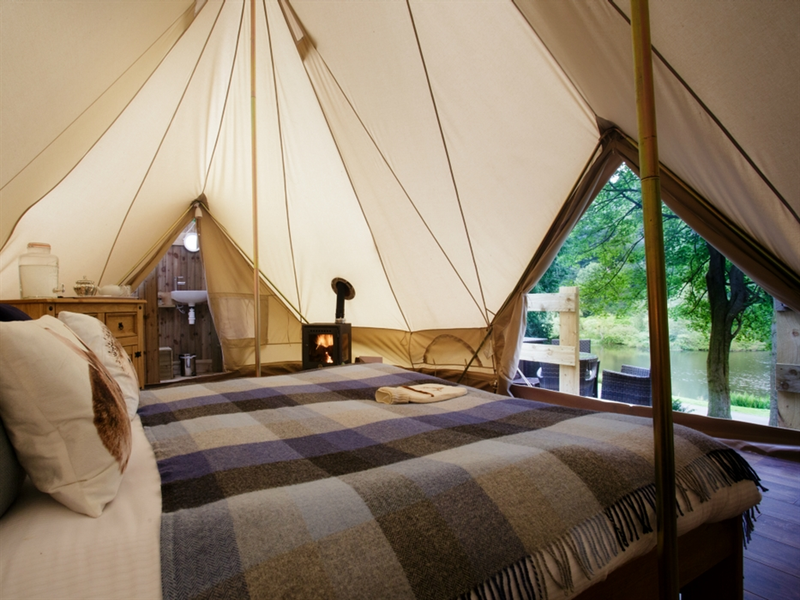 Whether it is sleeping under the stars, alfresco cooking and dining, falling asleep to the sounds of nature; glamping is the ultimate way to enjoy the great Scottish outdoors with plenty of home comforts for convenience. 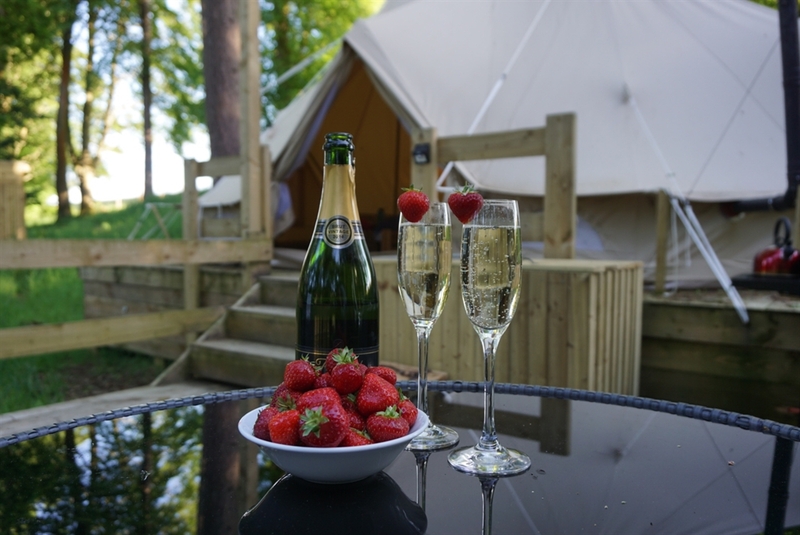 All our Canvas Cottages benefit from having their own en-suite shower room with fully running hot and cold water, hardwood floors, custom wooden furniture and kitchen cabinet fully equipped with cookware, utensils, crockery and cutlery. The estate provides a magnificent backdrop for strolls and more vigorous walks within the grounds, although please note that the Castle itself is not available for visitors or tours. 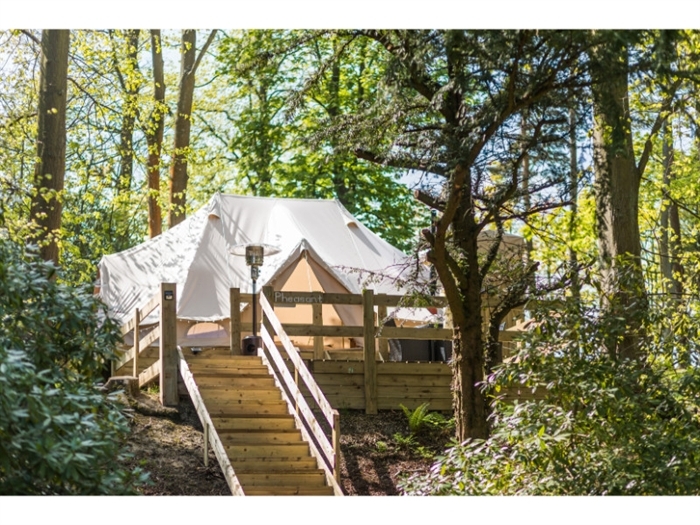 From time to time it will be used for exclusive events such as weddings and the Castle owners request that Glampotel guests respectfully remain within the grounds outlined on the walking plans provided. 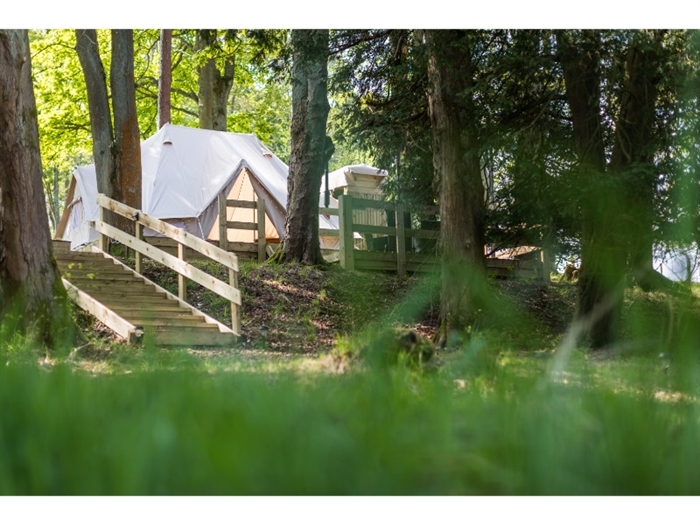 All of your linen and towels are included in the unit as well as biodegradable toiletries. 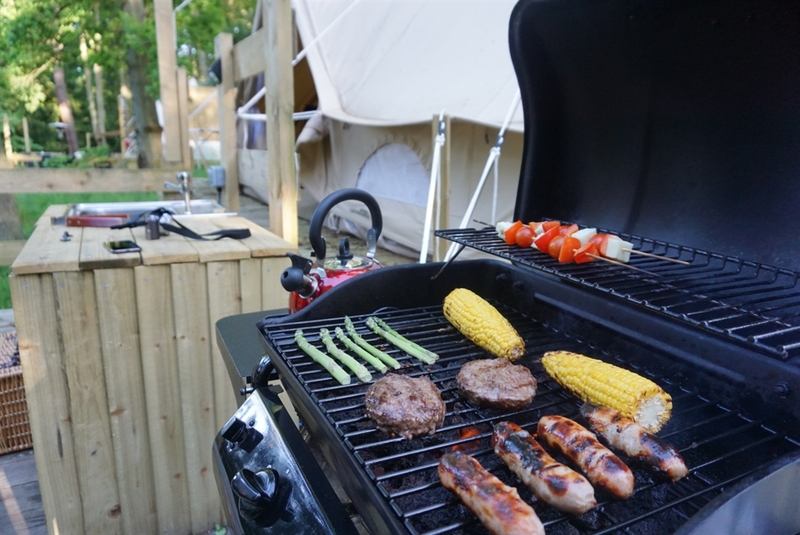 Each Canvas Cottage has its own large private wooden deck with a gas powered BBQ, chimenea and a bistro dining set with comfy chairs for eating, relaxing and taking in the beautiful surroundings. 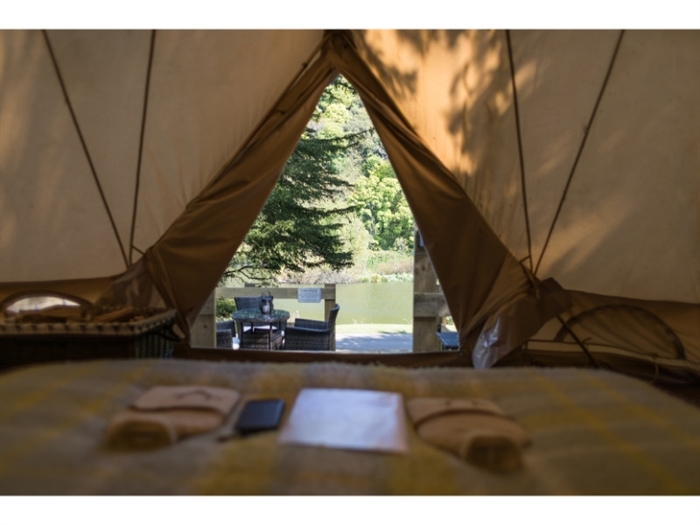 Fall asleep to the sounds of nature, with your electric powered wood burning stoves ensuring your Canvas Cottage will be warm whenever you need to be.